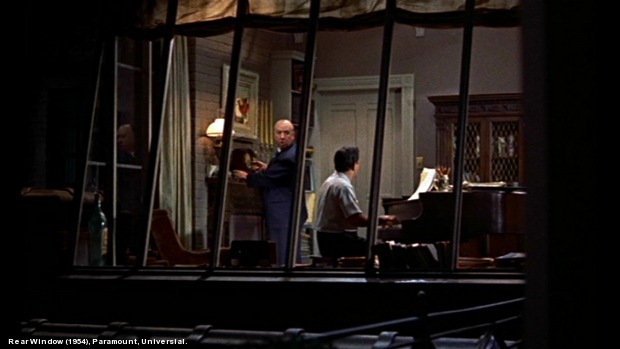 The very fist time I've heard about Alfred Hitchcock's name was through his cameo appearances. Actually, I've come to know his name much later than hearing about his cameos. He was, to me, the famous Hollywood director that appears in all his movies, which is also known to be his trademark. Then, it was much later that I found myself in the frenzy of Hitchcock's cinema. I've watched almost all his movies and in every one of them I had one eye on catching "where did he hide himself this time?" 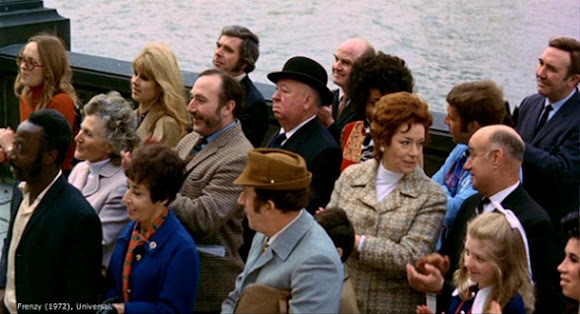 Alfred Hitchcock's cameo appearance in Frenzy (1972): In the center of a crowd, wearing a bowler hat, he is the only one not applauding the speaker. He might be a guy smoking in a train station (The Lady Vanishes (1938)), or the man sitting in a hotel lobby (Torn Curtain (1966)), or he might be in a photo that one of the characters are looking at (Dial M for Murder (1954)), or a random guy in a crowd that watches the crime seen (Frenzy (1972))...He might be anywhere.